TGPS is our Brand for The Gap Plumbing Service and we offer honest, reliable, efficient and trustworthy plumbing services. 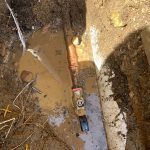 Plumbing requires adaptability, problem solving and solutions focus, which our Team pride themselves on. We will deliver all of this with your budget and cost effective solutions in mind. All of our work is guaranteed and performed by our Trade licensed plumbers, drainers and gasfitters. 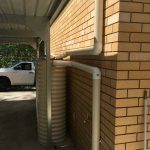 We focus on Brisbane’s West and Northside suburbs, this enables us to reach our customer base fast to rectify emergency plumbing, blocked drains or simply provide timely service delivery. 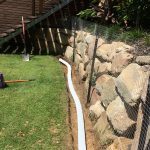 Our team is trained in all new plumbing installations as well as specialising in maintenance plumbing, especially in Storm Water and all Drainage Rectification. 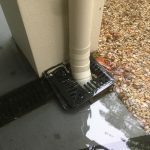 Our specialist High Pressure Drain Clearing machine and Camera are available quickly for your blocked drain emergency, with 3 service vehicles on the road we are equipped to rectify your plumbing issue. Mark did a great job designing and managing the complete renovation of our bathroom. There were a few obstacles on the way but Mark was always happy to rectify any issues we had along the way. The final result is excellent.